ABC has put in development MILA 2.0, a sci-fi thriller about a young woman who discovers that she is a Mobile Intel Life-like Android, Mila, an experiment in artificial intelligence created by the U.S. government and her scientist mother, who kidnapped her when she was found to have human emotions. 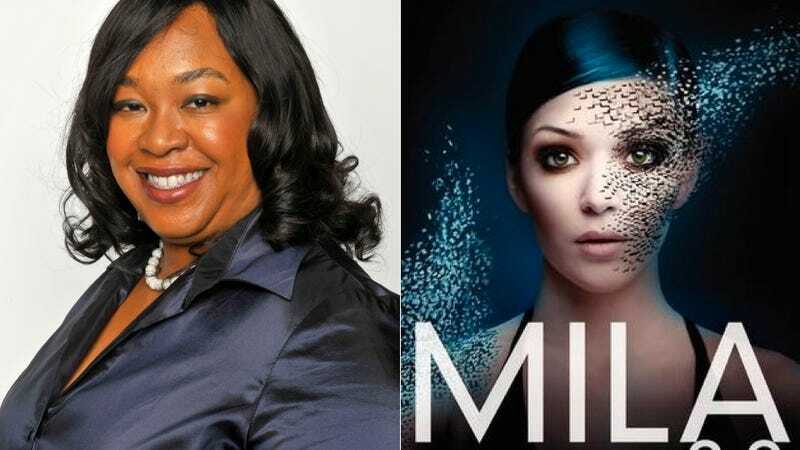 Rhimes is a producer on this project; it will be written by Dave DiGilio, based on the book Mila 2.0 by Debra Driza, which hits stores in March 2013. That book is the first in a series, and it sounds like someone's banking on it to be the next Hunger Games.